When one begins to consider the purchase of a new home or to start the process of building a home, there are several important aspects that a home buyer or builder must consider. One important aspect that a homeowner needs to consider is the air flow that filters in and out of the home. Poor air flow throughout a home can cause severe health concerns as well as create interior damage to a home resulting in the home owner being forced to spend out of pocket money on home repairs. Ventilation in rooms such as the kitchen, attic and bathrooms are important to keep all residents in the home happy healthy and confortable. A poorly ventilated kitchen can result in a smoke filled uncomfortable environment; a poorly vented attic can create moisture buildup that over time can cause a ceiling to appear as if it is leaking; a poorly ventilated bathroom is just plain unpleasant for all its users. In order to keep a home and all the home’s residents happy, healthy and comfortable a quality exhaust vent is needed to get the job done effectively and efficiently. There are several ways to insure that the home has a well-functioning efficient exhaust ventilation system. The first thing a person can do to insure that their home has a quality exhaust vent is to purchase an exhaust vent through a company with a proven history of excellent quality products; one such company is FAMCO. FAMCO is a leading company in the department of manufacturing air ventilation products. FAMCO distributes their high quality products to wholesalers and contractors nationwide. Quality products such as their copper exhaust vents are helping meet family’s needs all across the nation. Once a company has been decided on, the next step is selecting which type of exhaust vent will hold up under usage. Choosing to go with copper exhaust vents means that the vents for your home are made of a durable quality material that will not rust, crack or allow mold and mildew to build up. Not only are copper exhaust vents great as far as durability is concerned but they offer a unique and fabulous look to most homes. 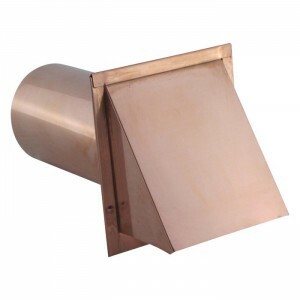 When one purchases copper exhaust vents from FAMCO, one can rest assure that the copper exhaust vents being installed in their home is constructed with top quality galvanized copper.